The images below are placed from left to right in the order in which they appear in the film. Note that the strips show more of the image's edges than is seen on the screen; projectors are designed to crop the image slightly, and I replicate the standard degree of cropping when I post single frames. Most importantly, most of the images appear in the films for only 1/12th or 1/24th of a second; at twelve different compositions per second, the eye can't wander around in the richly detailed paintings as it can in stills, and these paintings' fleeting, apparition-like quality and the films' jittery collisions of images are keys to Brakhage's aesthetic. 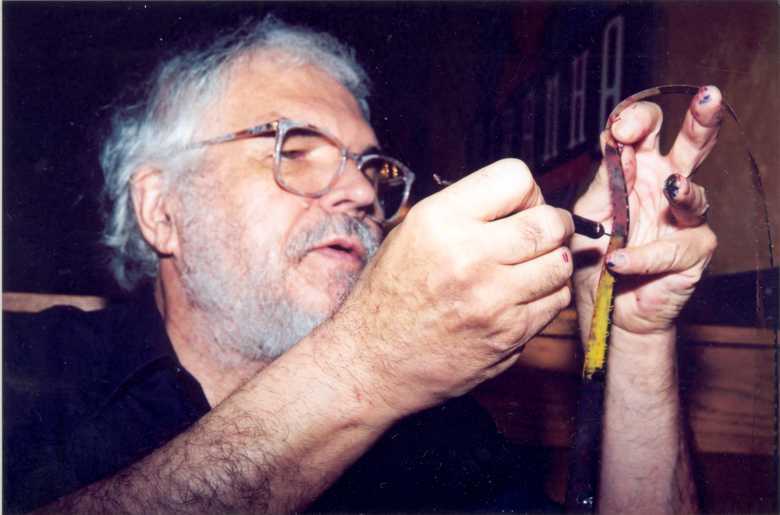 Last year, after the return of the cancer that would cost him his life in March, Stan Brakhage told me in a phone conversation that he'd just completed two films, Ascension and Resurrectus Est; I knew he was also working on a longer film, Panels for the Walls of Heaven. Knowing that he hadn't lost his sense of humor, I said, "Stan, I don't like the way these titles are sounding. When we talk again, I want to hear that you're working on a film titled `The Next Ten Years.'" He chuckled, then said, "The thought of living for another ten years horrifies me." He went on to say that he'd always been ambivalent about life. While other evidence suggests that he really did want to go on living, his comment has resonated with me as a key insight into his career, which spanned 50 years and close to 400 films. Taking defiance of filmic forms to a new extreme, these works have qualities often found in an artist's late oeuvre. Brakhage refines his art to its essence, to an unpredictability that's nevertheless not random, neither borrowing from drama as in his earlier films nor supplying the potent symbolism of such late hand-painted works as The Dark Tower. The last four films in particular have an austere, almost autumnal visual and emotional evenness. All but one of the four — Max is the exception — were made by painting directly on the 16-millimeter film strip one frame at a time, and their shifts in perspective keep the viewer on edge to an almost delirious degree. 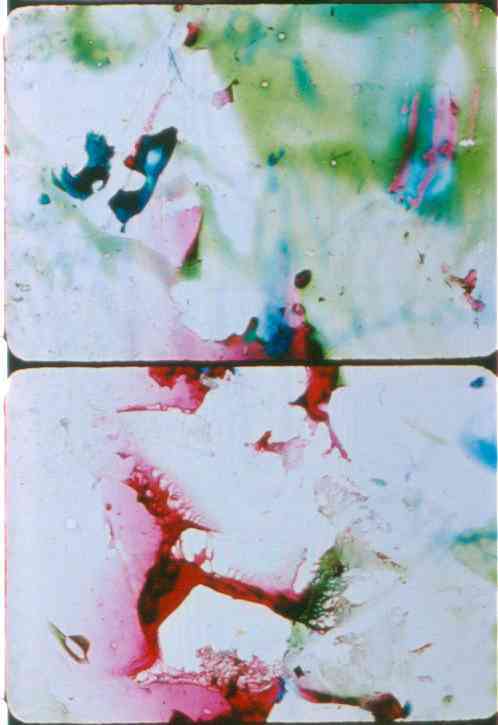 Because each frame takes only one twenty-fourth of a second, Brakhage often chose to repeat each one two, three, or four times in the printing, resulting in between 6 and 12 images per second. At this speed, each painting is visible just long enough to be perceived in some detail but not long enough to become a static picture. 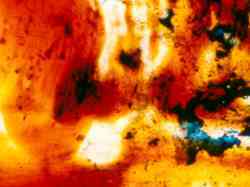 The resulting tension between stills and implied movement is only one of the many ways Brakhage sets the viewer off balance. 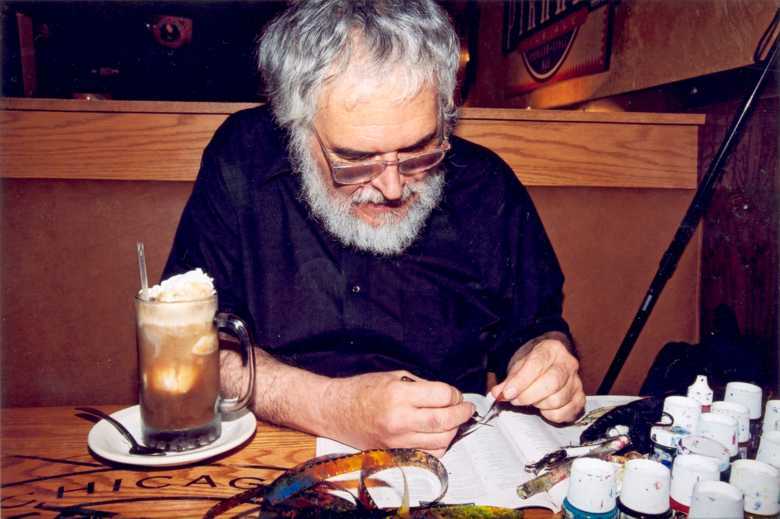 Stan Brakhage painting on film in a Boulder cafe, 2002, photographed by Kai Sibley, copyright © Kai Sibley 2002. 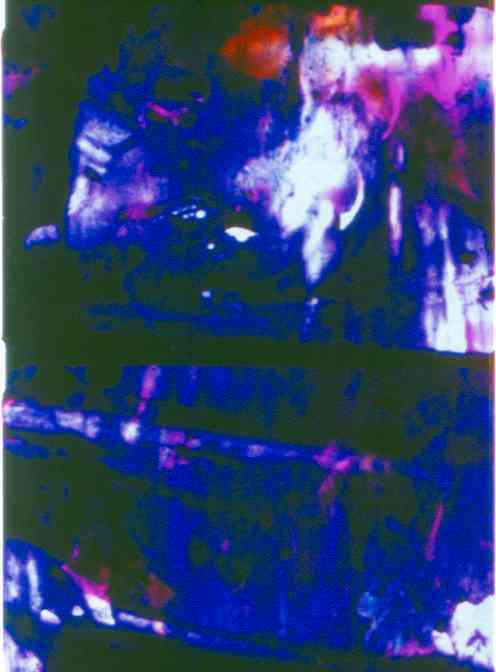 If you wish to reproduce these, and other portraits of Brakhage by Kai Sibley that I have available, please write to Kai Sibley. With her permission, I can make larger and higher-resolution versions available for download.. These films are as sensuously spectacular as his previous works, beautiful accretions of color. 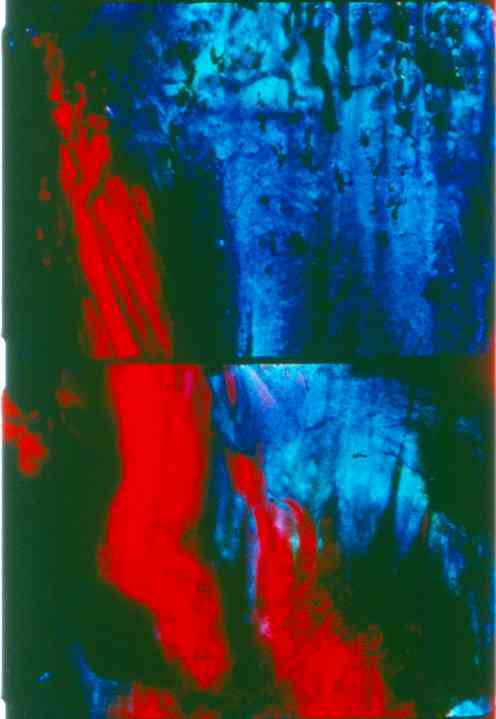 Contrasts heighten the impact of each instant: Brakhage makes a sharply textured red pierce a fuzzier blue within a composition, in superimposition, or in editing — only one of a thousand dynamic clashes that intensify our seeing, as if scouring out the vision. These contrasts give the spectator an active role — each film is an "adventure in perception," as Brakhage put it at the opening of his book, Metaphors on Visions. His speculation about the prelinguistic seeing of children is just one example of a more general interest in alternatives to functional vision, the kind we need in order to walk across a room without bumping into things. Still in search of alternatives, these films are if anything more extreme than Brakhage's earlier work: no single look or rhythm dominates. 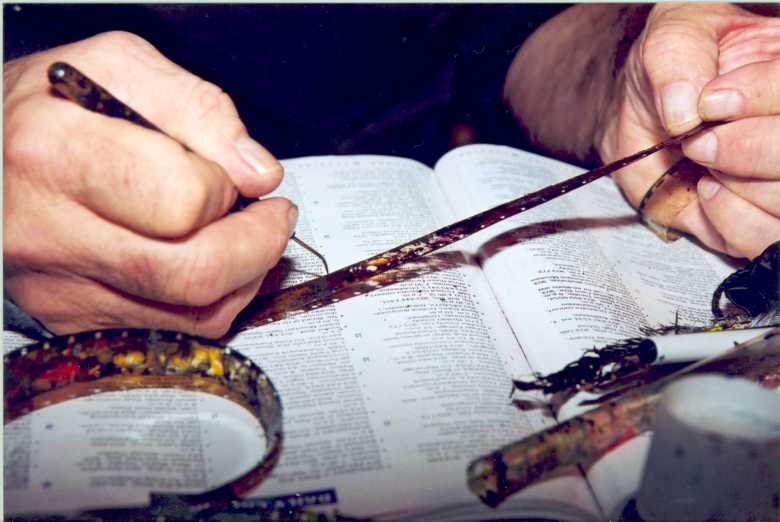 Brakhage said late last year that he tried to choose titles to "open people to seeing the film." Yet the title of the longest film on the program, the 31-minute Panels for the Walls of Heaven, seems almost false advertising: it looks nothing like static panel paintings and never reaches stasis — a major part of its point. 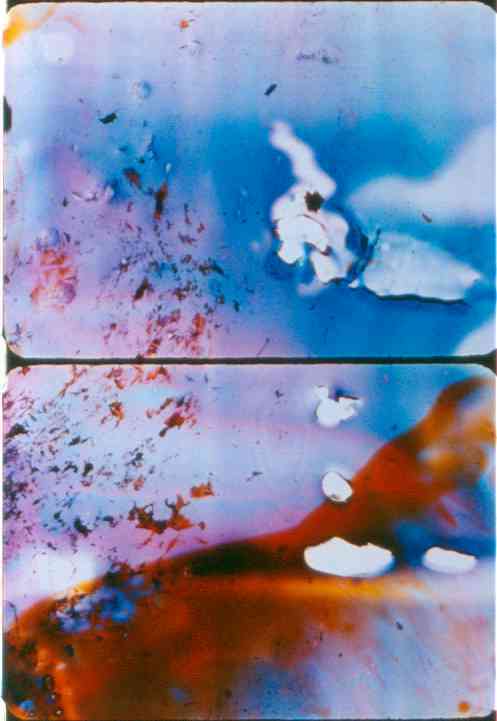 More than halfway through the film an image is held for several seconds, but this is a dynamic event, a surprise because the picture lasts more than the expected fraction of a second; significantly, the image Brakhage chooses to hold is mostly black. 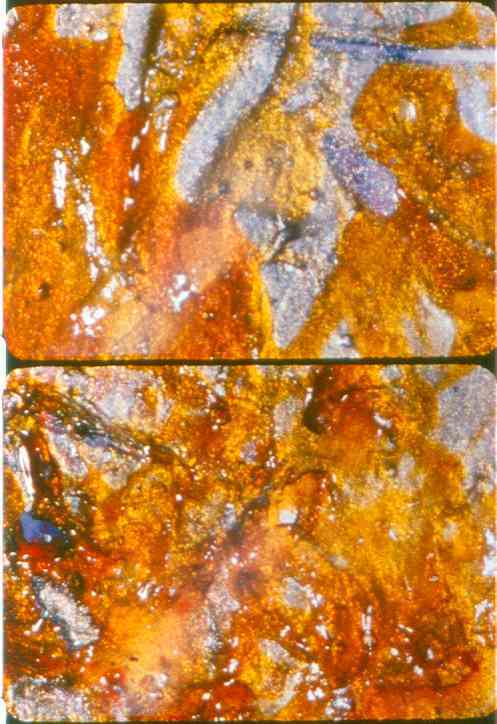 Panels for the Walls of Heaven is the fourth and last of the "Vancouver Island" films, all of which present Brakhage's imaginary biography of his second wife, Marilyn. 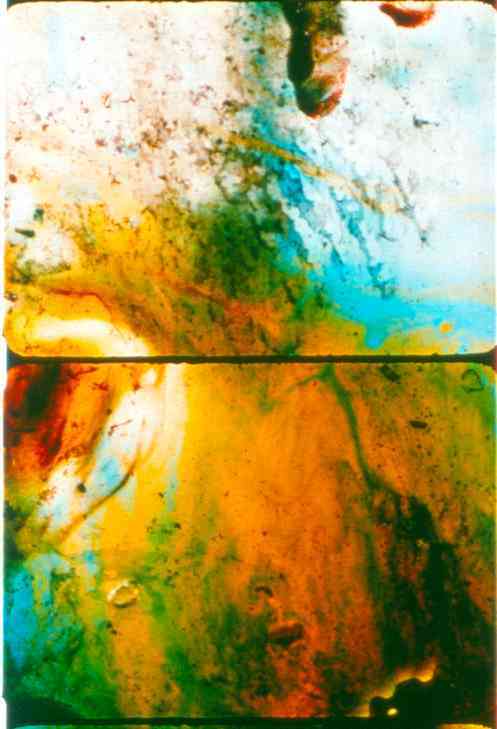 Brakhage said in a videotaped introduction he made in January for this program that his film does not aim to be "worthy of heavenliness"; rather, it's an "imagination of same." And the viewer might be hard-pressed to see any conventional heaven here — not only are there no recognizable pictures, there isn't even a single mood. 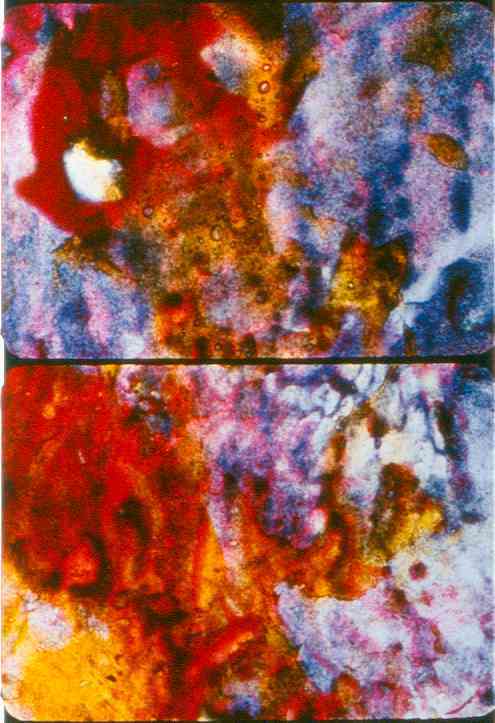 Hating symmetry, avoiding all forms of predictability, Brakhage produces compositions that are off center, weighted toward one area as if ready to tip over. And each image does tip over, very rapidly, into the next, yielding to its successor. The sheer variety of images in Panels for the Walls of Heaven creates a labyrinth of possibilities. Spots of color pierce the darkness; transparent washes are drawn over white as if painted on glass; textures vary, from areas of color rendered in parallel lines like brush strokes to soft, even fields to mottled patterns of multiple similar shapes. At times the texture of the paint is sharply visible, at other times intentionally thrown out of focus in the printing. There are suggestions of glowing rock caves, of ice caves, of very near surfaces, and of distant clouds. Often different types of images are overlaid; superimposing sharp paintings on out-of-focus ones is particularly striking, suggesting an alternative way of seeing the sharp ones. And the rhythms of the images vary, from rapid staccato bursts to continuously dancing forms to sudden decelerations lasting a mere fraction of a second. 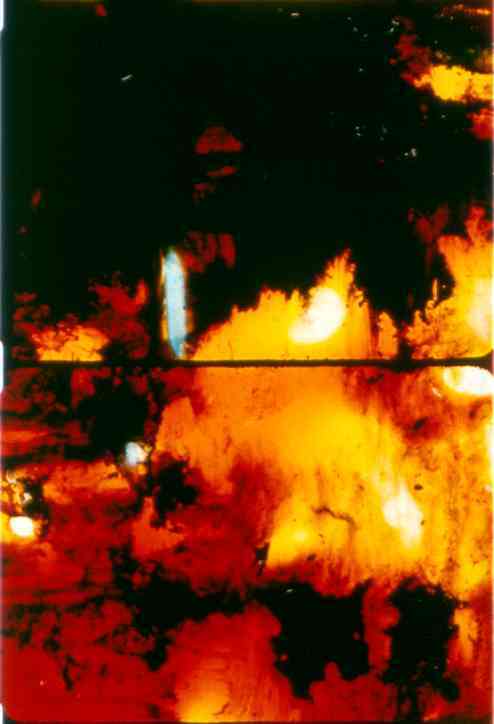 Brakhage's imagined heaven is an unceasing dance with light. The emphasis on unpredictability prevents the film from having a readily graspable structure. Instead it lives and breathes in its instants, as the viewer reinvents seeing at each moment of its unspooling. 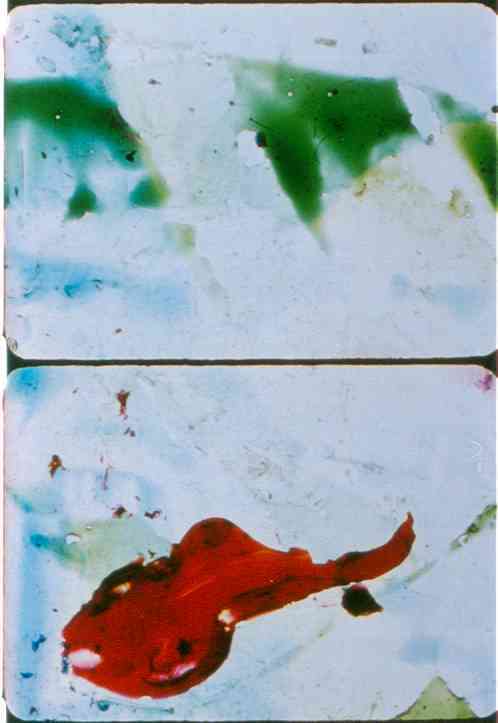 Brakhage seeks not spectacular pictures — certainly not to the extent he did in some earlier work — but constant change, making one question the very nature of existence. Pushing his films almost to the point of chaos and denying the viewer images from the world we know, he creates the sense of teetering on a brink, of consciousness suspended over a void by the slenderest of threads. Brakhage achieves an exquisite balance between opposites, between organizing light over time in a manner worthy of the classical music that inspired him and pulling apart the raw stuff of the world into near chaos. More extraordinary, he fuses these opposites: we feel both impulses at once and experience them as reconciled. Yet freeing vision from cultural expectations seems to entail abjuring the continuous self, producing a death song of sorts. Underlying Brakhage's flirtation with chaos is a philosophical question: How much freedom from convention is it possible to achieve and still go on living in the world? The shorter films on the program are no less spectacular or profound. Ascension begins by superimposing paintings that look like clouds over extremely close views of mottled paint, peculiarly intimate in their three-dimensionality. 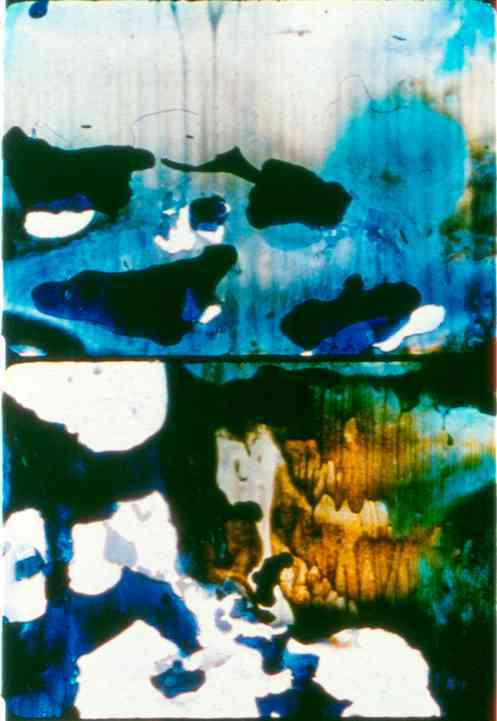 Juxtaposing images of transcendence with representations of what he liked to call the "mess" of life, Brakhage distances himself from both. In Resurrectus Est, he sets complex fields of paint and color combinations against a largely white background. Near the end, the paintings become separated by longer and longer stretches of white. 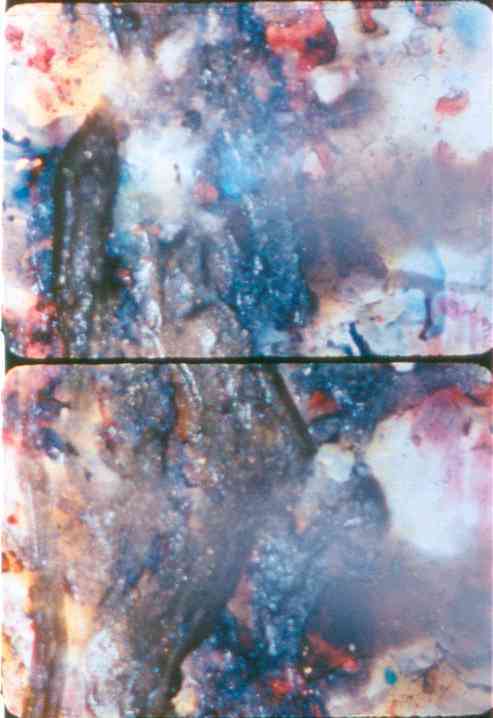 Brakhage once said he wanted to "leave a snail's trail in the moonlight," and these splotches of paint against white seem acknowledgments of a certain humility new to him. 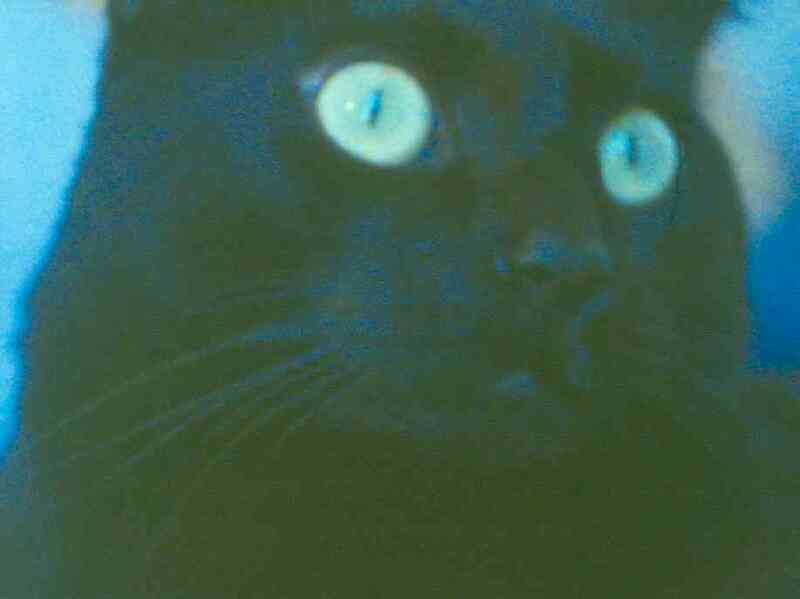 The one work made with a movie camera, Max, grew out of Brakhage's desire to create a record of his cat. After several attempts, he was finally satisfied with a single roll, edited in camera. He used to complain that viewers didn't understand that he had a sense of humor, but often his humor is subtle, revolving around individual oddities, whether of humans or animals — a body or face or eye that stands out from a more even field of light. 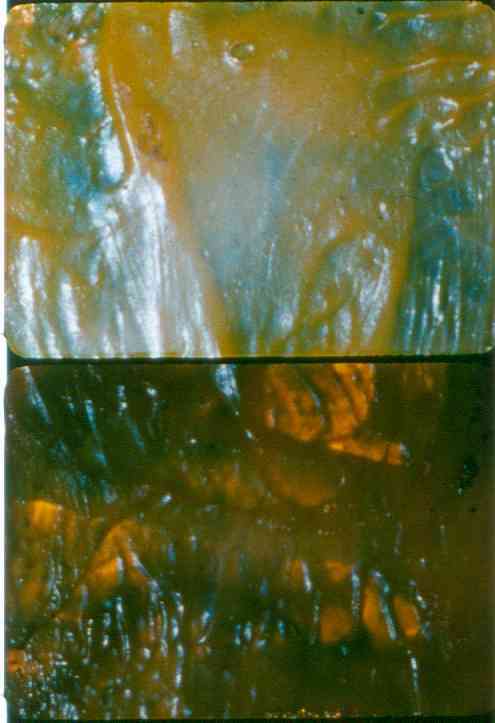 Because for Brakhage light stands for the energy underlying all things, sometimes it seems that locking it into a recognizable or namable shape is too restrictive. Max jokes about this issue by making the cat's individuality seem odd, as its bright eyes occasionally peer out from a mass of soft-focus fur, markers of a being that almost seems to understand its own insignificance. Best known as an advocate of individual vision in film, Brakhage by the middle of his career was starting to shift his definition of self away from "personality" and toward a more expansive sort of consciousness. 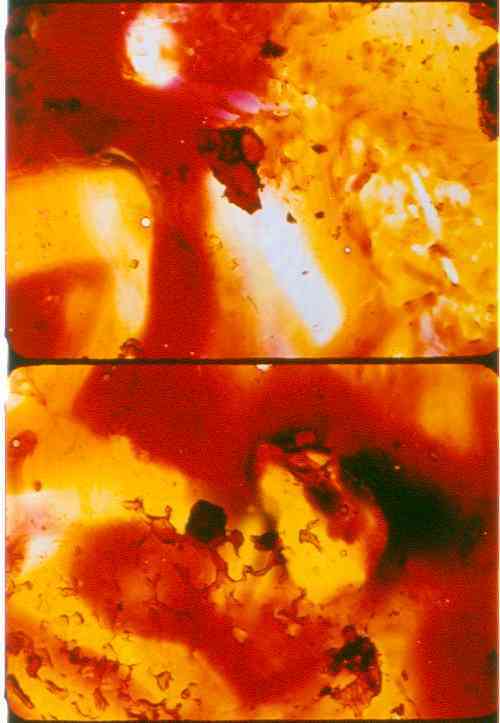 At the film's beginning, Max appears out of the yellow-red flares that are caused by light fogging at the beginnings and ends of film rolls; at the end, Max vanishes into those same flares, so that her presence is subsumed by a yellowish fog. 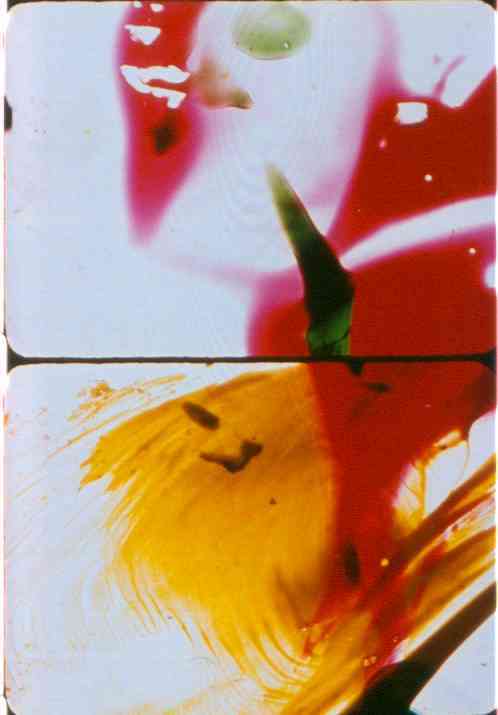 Though this effect is often seen in single camera roll films, here it combines with the oddness of Max's presence and the delicacy of Brakhage's compositions to make a point about the fragility and temporariness of the film image, about its roots in pure light. And at the end, it seems as if the filmmaker uses the cinematic process to say good-bye to us — and to all the things of this world.